The Lion Guard Bed Just $29.99! Down From $60! PLUS FREE Shipping! You are here: Home / Instagram / The Lion Guard Bed Just $29.99! Down From $60! PLUS FREE Shipping! For a limited time only! Hurry over to Toys R Us where you can score this Disney Jr. The Lion Guard Toddler Bed for just $29.99 down from $59.98 PLUS FREE shipping! Your pride and joy will be on the prowl for nightly adventures in dreamland with this Disney Jr. 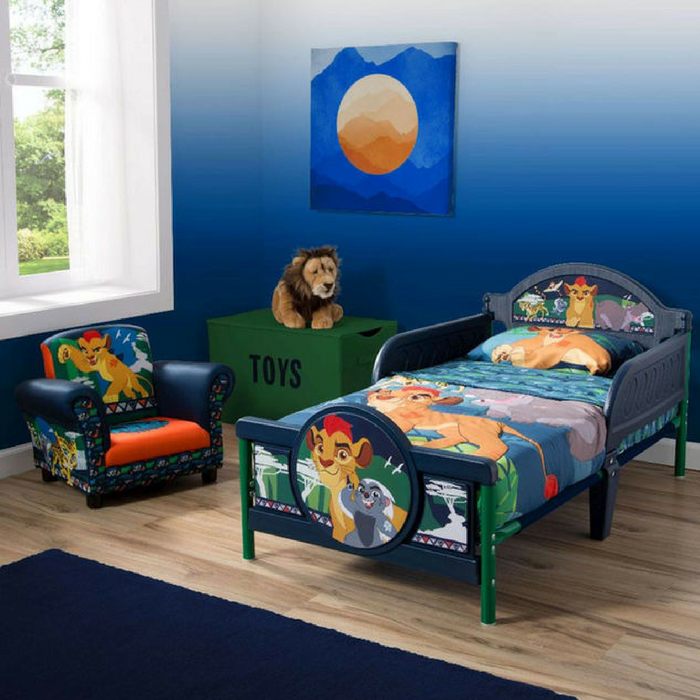 The Lion Guard 3D Toddler Bed from Delta Children. Featuring adorable 3D accents and decals of Kion, Bunga, Fuli, Beshte and Ono, it transports any bedroom into a magical world. Designed to keep your child safe, this sturdy plastic toddler bed is built low to the ground and features two attached guardrails for additional reassurance. Plus, it’s the perfect kid-sized height, and allows children to get in and out on their own.